Sold | Flury and Co.
…Females part their hair in the middle from the forehead to the nape of the neck. Unmarried girls arrange it in a large whorl above each ear, a very distinctive style symbolic of the squash-blossom. …The picturesque whorl fashion is so fast disappearing, at least at Walpi, that in three months’ observation in the winter of 1911-1912 only one girl was seen with hair so dressed except on ceremonial occasions. To arrange the whorls is too laborious a task for women with a school education. 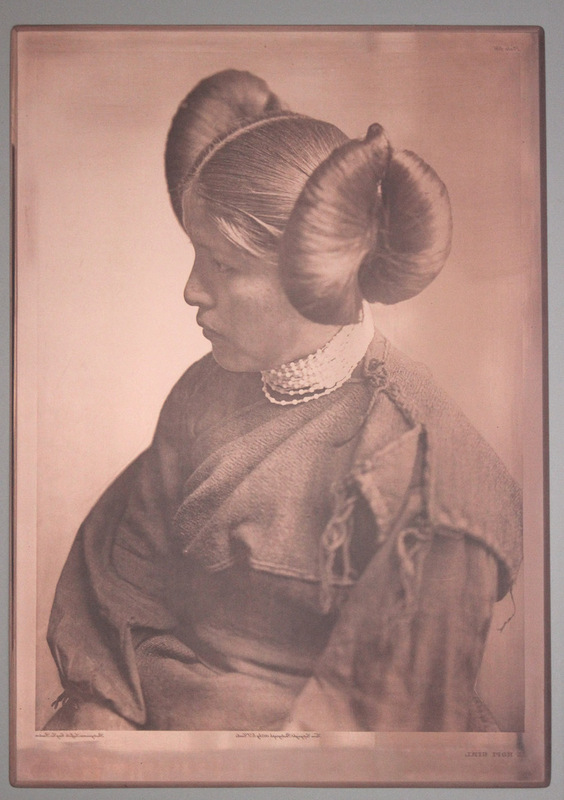 Edward S. Curtis, The North American Indian, Text XII, 25, 1922.